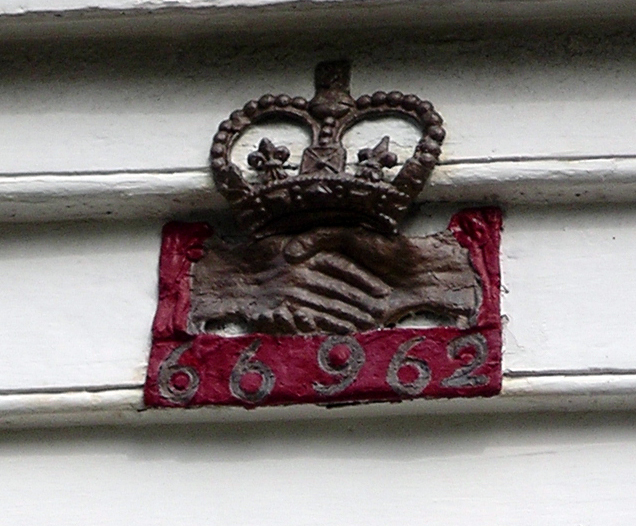 The great fire of 1666 was the beginning of organised fire brigades in the metropolis. Insurance companies were granted charters to provide fire assurances, and in order to protect their own interests, they invested in equipment and recruited staff from the watermen on the Thames. Metal firemarks would be mounted on the outside of insured buildings and insurance brigades would usually return home should the burning building not bear their mark. The expansion of the fire insurance industry and increasing cooperation between the brigades led them to forming a single body in 1833 called the London Fire Engine Establishment (LFEE). 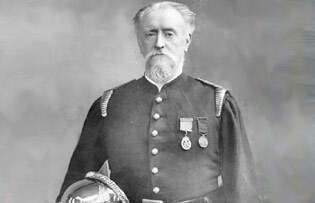 The ex fire chief of Edinburgh (the first municipal fire brigade in Great Britain), James Braidwood, was recruited to head the LFEE inheriting 80 firemen, and 13 fire stations. The LFEE severely lacked resources; despite only managing to preserve Westminster Hall in the Houses of Parliament fire of 1834, no public funds were allocated to the Establishment. In 1861 a large warehouse fire in Tooley Street was attended by all the staff of the LFEE. In the early stages of the fire a wall collapsed on Braidwood and killed him. It took a further two weeks to fully extinguish the blaze. The loss was too great for the insurance companies to be able to survive, and premiums necessarily increased to cover this debt. Eyre Massey Shaw, ex Irish army officer, was recruited from Belfast city police and fire fighting services to be the new Chief Officer. Shaw was an expert at social networking and used this to his advantage in securing funds and recognition for his brigade. This, in combination with several large fires and following pressure from the insurance companies, led to the brigade being taken over by the Metropolitan Board of Works in 1866. The brigade was renamed the Metropolitan Fire Brigade. The new brigade assumed responsibility for a much larger area of London, and because it received public money alongside its insurance revenue, it also covered those who could not afford fire insurance. Perhaps the most important aspect of the new brigade was that the ladders of the Society for the Protection of Life from Fire were merged into the brigade. The emphasis of the brigade was therefore changed fundamentally from the preservation of the insured property to the preservation of life. Shaw expanded the brigade hugely. His social influence encouraged the Metropolitan Board of Works to increase its financial support of his brigade. This led to a massive increase in the numbers of firemen, fire stations, ladders and all other equipment. He inherited 17 stations and under his control this expanded to 61 stations. He began the large scale mechanisation of the brigade with the introduction of horse drawn steam appliances. ‘Candidates for appointment must be seamen; they should be under the age of 25, must measure not less that 37 inches round the chest, and are generally preferred at least 5 feet 5 inches in height. They must be men of general intelligence, and able to read and write; and they have to produce certificates of birth and testimonials as to character, service etc. Each man has to prove his strength by raising a fire escape single handed with the tackle reversed. Since the beginnings of the Brigade staff would work full time as firemen, both at the stations and in watch boxes at night with the wheeled escape ladders prior to the introduction of ladder vans. It would not be until 1920 that a shift system would begin to be phased in. Prior to this, firemen were unlikely to get more than a few days off per year at the station officer’s discretion. Shaw encouraged fire prevention measures, for example introducing regulations for theatres (which had been responsible for a large number of deaths). He also heavily influenced the introduction of building regulations which governed materials used and water supplies, and this standardised the look of Victorian London. In 1889 the Metropolitan Fire Brigade was moved from the control of the Metropolitan Board of Works to the London County Council. Shaw did not much care for the control the LCC attempted to exert over his Brigade and retired in 1891. 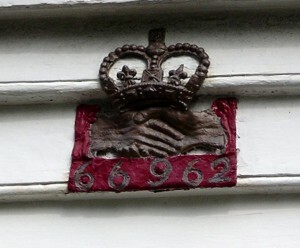 He was knighted upon his retirement. In 1904 the brigade was officially renamed to the London Fire Brigade. This year also saw the introduction of bells to fire appliances and the beginning of motorisation of the brigade. Motorisation was about half way to completion in 1915. Financial plans were made for the purchase of 27 fire engines in 1915/16, 20 in 1916/17 and the final batch of 12 in 1917/18 to complete the replacement of horse drawn fire engines (and to replace some of the very early motor vehicles). However horse traction would still be used for the motive power of turntable ladders, and for some more minor ancillary roles, until 1921 when the last horses were retired from Kensington. World War 1 began on 28th July 1914. Due to the large proportion of ex-sailors in the brigade a large number of firemen left to help with the war effort. This however was a period of increased risk to London. Zeppelins and air planes were to bomb the capital.